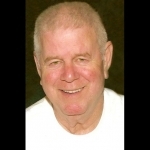 Chuck Deason, Jr., 73, of Kansas City, KS passed away August 15, 2018. Visitation will be 2:00 p.m. to 4:00 p.m. Sunday, August 19 at Porter Funeral Home, 1835 Minnesota Ave, Kansas City, KS. A second visitation will be 10:00 a.m. to 11:00 a.m. Monday, August 20; followed by a celebration of his life at 11:00 a.m. Interment will be at Gate of Heaven Cemetery. In lieu of flowers, memorial contributions may be given to an organization that raises money for law enforcement agencies to purchase protective Kevlar vests for police dogs at Going To The Dogs, P.O. Box 11624, Overland Park, KS 66204-1624 or visit www.going2thedogs.org. Chuck was born December 8, 1944, the son of Charles Vernon, Sr. and Freida Maxine (Fisher) Deason, in Kansas City, KS. Chuck graduated Argentine High School, Class of 1963. Chuck worked for Kenworth in Kansas City, MO for 22 years and then for B.P.U. Quindaro Power Station until his retirement in 2008. Chuck enjoyed many activities with his princess, Mary Maxine. He was always her biggest supporter in whatever she wanted to achieve. He coached her softball teams as she grew up. They also were involved in The Indian Princeses (Thunder Cloud and White Cloud); a YMCA program for fathers and daughters during grade school. Chuck loved classic street hot rods and motorcycles. He enjoyed taking motorcycle rides with his grandsons on bike trips to various locations. Chuck was an avid Kansas Jayhawk Basketball fan. Chuck is preceded in death by his brother, Curtis “Curt” Deason; sister, Patricia Deason Croft; honorary grandson, Robert Zevenbergen; nephew, Michael Hoppis; and niece, Donna Deason. Chuck is survived by his wife of 52 years, Ardith; daughter, Mary Maxine Pollock and husband Jim; two grandsons, Troy and Mitchell Pollock; sister, Shirley Deason Wallace; sister in-law, Carol Deason; loving nieces and nephews; and all of his great friends/buddies for all of their quality time spent together; whether good or bad. And last but not least, the canine prince of the household, Cooper. The family would like to thank the Telemetry and ICU nurses and doctors, along with support staff at Overland Park Regional Medical Center, for the excellent care given to Chuck, and support and companionship to our family. A special thank you to his cardiologist, Dr. Kirit Masrani, for his medical care and compassion over the past 24 years and especially during the past couple of months. I want to send my condolences to ardith and family. Chuck.was a great guy. I remember is sense of humor. Also was a fighter. Thru the many times he was in the hospital. Even tho he will be greatly missed by his family, he is in a better place and is with cecil.and Agnes. He sure liked to live life with his family\r\n And they have lots of good memories of all their family vacations. We will miss you chuck. I am so sorry for your loss. My thoughts and prayers are with you and your family. A donation has been made in memory of Chuck to your K9 organization. God bless! I am so sorry for your loss. I know that God is with you through these trying times. I love you. Ardith, we all know these days will happen, but way too soon for Chuck. We feel such a terrible sadness, but will forever remember what great times we shared whether it be with our street rods, 2 cruises together, trips to Mississippi & Florida plus such fun times at the lake house laughing it up. Remember the \"$75 diamond ring\" gag?? We sit & think of so many, many perfect times together & even those Saturday nights with the 3 couples eating & playing Farkle!!! We'll never EVER forget our fun together & you & Chuck. Ardith \r\nMy deepest sympathies go out to you and your family. May God give you the peace you seek.\r\nYou all are in my thoughts and prayers. The radiology department at MISH Hospital & Clinics would like to offer our condolences regarding the passing of Mr. Deason. It was a pleasure to care for him during these last several years. Our thoughts and prayers are with Ardith and family during this difficult time. Second visitation 10:00 a.m. to 11:00 a.m. Monday, August 20 prior to the service.